Web Filtering: Bypass web filtering and browse anonymously. The Internet is a huge place. With so many things happening at once, sometimes we need to have some control over it. Web filtering screens a webpage and then decides to whether display the page to the user or not. However, people generally mix up the concepts web filtering and the Internet censorship. Internet censorship controls or suppresses what you can see, post, or publish on the Internet. The system works by checking the page’s content according to a set of rules given by the organisation. Therefore, one needs to learn how to work with web filtering and how to bypass it, if needed. As mentioned, web filtering checks the webpage for material that goes beyond its set of rules. Therefore, it can protect content against objectionable material, unwanted advertising, obscene content, spyware and virus. It also secures the network from Internet threats and reduces unnecessary internet surfing at home, schools, libraries and at workplaces. Network administrators can even check what kind of content is inaccessible due to filtering, and who asked for it. Surveillance – constant technical monitoring helps you keep checking for objectionable content between the host and the user. The discovery of any banned content between the two parties could be held against them, which instils a sense of fear to both publish and access forbidden information. Surveillance by TCP/IP header filtering – The censor’s router checks the Internet Protocol address and the destination port number. If the destination port number features on a blacklist, the user cannot have the access to the information. TCP/IP content filtering – The filter checks the content for specific keywords or patterns that is put on a blacklist by the company. Denial-of-service attacks – Denial-of-service attacks are set up on the host server. It can be performed by having too many computers demanding service from a particular server. As a result, it causes too much traffic and causes loss of connection. You can bypass web filtering by using a Virtual Private Network (VPN). A VPN is one of the most affordable and easy to use security tool. While using Le VPN, your system is hidden behind multiple Le VPN servers. As a result, your identity is safe. Le VPN hides all kinds of identification from the authorities. Therefore, you’re safe from data theft, frauds, scams, hacking or malware. You can even unblock YouTube videos with certain proxies. Therefore, web filtering can have both good and bad consequences. On one hand, there will be control over wrong and immoral content. While on the other hand, it may affect the freedom of people. 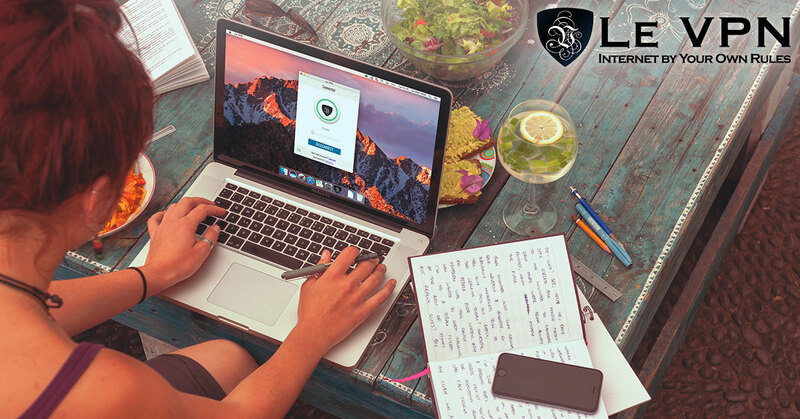 However, Le VPN makes sure that you get unrestricted access to Internet content at the best price.